Though Thalaivaa didn’t make it in time to theatres in Tamil Nadu, some of the other prominent markets such as Kerala, Karnataka, Andhra and the overseas circuits saw the movie’s release and the opening has been good all over. Kerala – From a total of 131 screens, the opening has been excellent and the first weekend gross is expected to be above 3 crores. The first day gross of 1.12 crores perfectly set the pace for constant improvements over the weekend. It must be noted that lot of audiences from Tamil Nadu are frequenting theatres in the TN – Kerala border to catch a glimpse of Thalaivaa. The Eid festival period has given a huge boost to the Kerala box-office and Thalaivaa stands on top. Distributors are confident that the movie’s overall collections will end up being as big as Thuppaki and Pokkiri in Kerala. Andhra Pradesh – The Telugu dubbed version, Anna, after a terrific day one opening share of 1 crore, settled at around 2 to 2.25 crores for the overall weekend share. Anna opened in around 275 screens, making it Vijay’s biggest release in Andhra. The Tamil version of the movie is being screened in 3 properties in Hyderabad City. The overall feedback from audiences seem to be that the second half is a little lengthy but the fact that the movie didn’t have competition from any Telugu releases in its opening weekend helped its cause. Karnataka – Bangalore City has seen an extraordinary opening for Thalaivaa with occupancies ranging in the 85 to 90% range. After the first day, 4 extra screens were added and trade pundits opine that the opening is better than the other recent big release Singam 2. A lot of fans had travelled from Tamil Nadu to see the movie, thereby adding to the craze in Bangalore City. But it must be seen if the weekdays can sustain as well as Singam 2 did. UK – From the paid previews on Thursday till Saturday, Thalaivaa’s gross in the UK is 78 lakhs approximate from 34 locations and it is seen as a very impressive opening. Vijay’s films generally embark on a great start in the UK, and Thalaivaa is no exception. USA – At the end of the first weekend, the US gross of Thalaivaa from 44 reported locations is 212,000 USD (1.29 crores). A record total of 70 locations are screening Thalaivaa and the total gross for the first weekend is expected to be in the 250,000 USD range. But there was a drop from Day 2 onwards and overall the film is expected to break-even in the US. 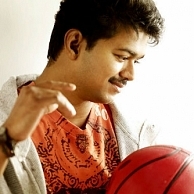 Malaysia, Singapore and Srilanka have opened well as expected, because Vijay enjoys a huge fan base in these countries. It must be noted that Chennai Express is on a record breaking spree in most of the overseas markets and the other Southern Indian states such as Karnataka and Andhra. This has impacted the collections of Thalaivaa, opine trade pundits. Now all eyes are on Thalaivaa’s release date in Tamil Nadu and how it will open here. When Will Thalaiva Release ? 16th Or 23rd ?